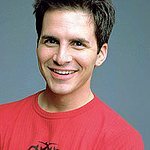 Comedian Hal Sparks will host a special charity fashion show for dogs as part of BuddhaBark’s WonderPark! event this weekend in Hollywood. 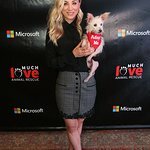 The event will take place on June 4-5 at the Chaz Dean Studio, 6444 Fountain Avenue, and will feature two afternoons of abundant doggie delights and pooch pampering for Hollywood’s top dogs and their celebrity guardians. Organized by BuddhaBark, a trusted source of canine wellness, the weekend’s events will benefit a number of charities, including Best Friends Animal Society, Much Love Animal Rescue and Linda Blair's WorldHeart Foundation.